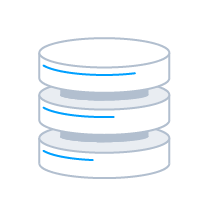 With SQL Gateway, your ODBC data sources look and behave like a standard SQL Server or MySQL database. 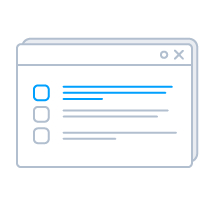 Connect to data from BI, ETL, or Analytics Apps across your local network, or from the Cloud. 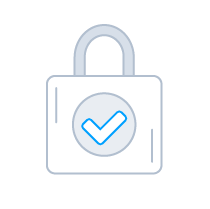 The CData SQL Gateway includes a host of powerful features for easily enabling secure remote access to data from Apps, databases, and code. Connect to local ODBC data sources remotely from any SQL or MySQL Client: Linked Servers, BI, ETL, etc. Secure Reverse Tunneling capabilities enable users to expose real-time data across the firewall. Binds to any ODBC Driver [free, open source, or commercial] making it remotely SQL accessible. Secure communications enabled through strong SSL/TLS security & Digital Certificates. 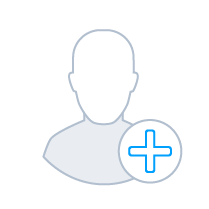 Straightforward user-level access controls with fine-grained control of access and permissions. Advanced connection logging capabilities with configurable output verbosity. The CData SQL Gateway can be configured to connect with any pre-configured system DSNs and expose those data sources as entry-points for remote access. The App looks and behaves like an instance of SQL Server or MySQL server to any client that connects to it, accepting incoming SQL and MySQL client connections and servicing standard requests. 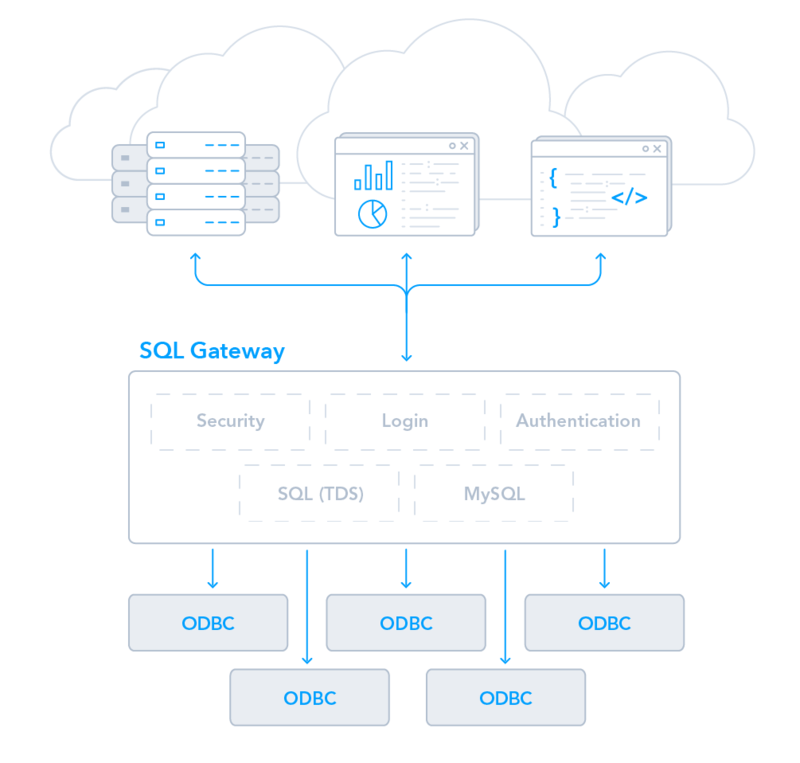 With the SQL Gateway, users can interact with one or more ODBC data sources from any client that supports SQL or MySQL: from web & mobile applications, to CRM and CMS systems, BI tools like SQL Server Analysis Services, and even through popular management applications like MySQL Workbench. Connect from BI & ETL Tools - Expose remote data connectivity to popular tools like SQL Server Analysis Services. 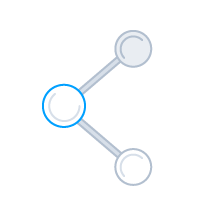 Connect from code - Use one of the standard client libraries for accessing SQL/MySQL from .NET, Java, PHP, Python, Ruby, Objective-C, etc. Configure SQL Linked Servers - Configure a linked server to enable SQL Server to federate queries across data stores [learn more]. 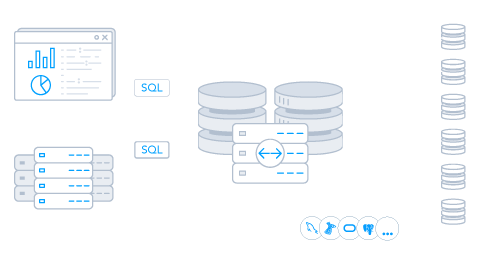 CData SQL Gateway includes powerful reverse tunneling functionality that enables users to easily and securely make on-premise data accessible across the firewall. 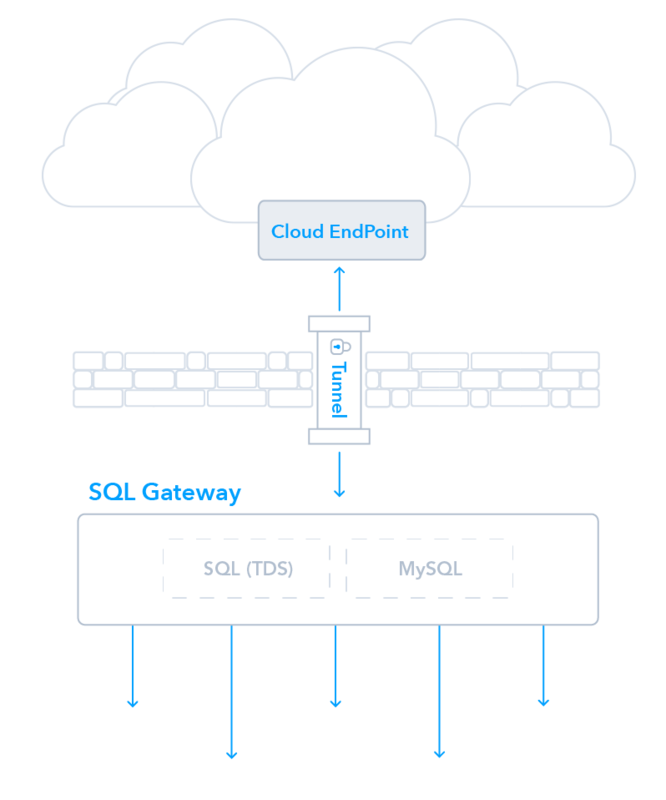 Configure the 'Gateway' feature, and the SQL Gateway will connect to a remote host and create a secure SQL or MySQL entry-point for on-premise data. Expose On-premise Data across the Firewall - Create secure entry-points for on-premise data accessible from outside of the local network. 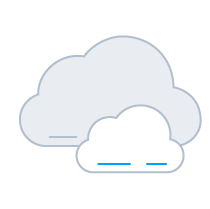 Connect to On-premise Data from the Cloud - Connect Cloud BI, Reporting, & Analytics applications to on-premise data sources. All of the CData Software Drivers can seamlessly interact with the CData SQL Gateway. In fact, the SQL Gateway is automatically included as part of the CData ODBC Driver installer, and can be enabled based on the purchased license. Download the SQL Gateway now to enable Remote access to ODBC Data Sources. Do you want to distribute the SQL Gateway with your application? Contact us below, and let's talk. reach out to you as soon as possible.